«TSS GmbH» is the official dealer of many well-known companies in Europe (FLUIDMECANICA, SA and others) and in Russia (CIS). On the Russian market we work together with the Dialog-Technika company with: GARBARINO, KRAL, BORNEMANN, LIEBHERR, etc. Read more about these companies on special pages on our website about different types of equipment. 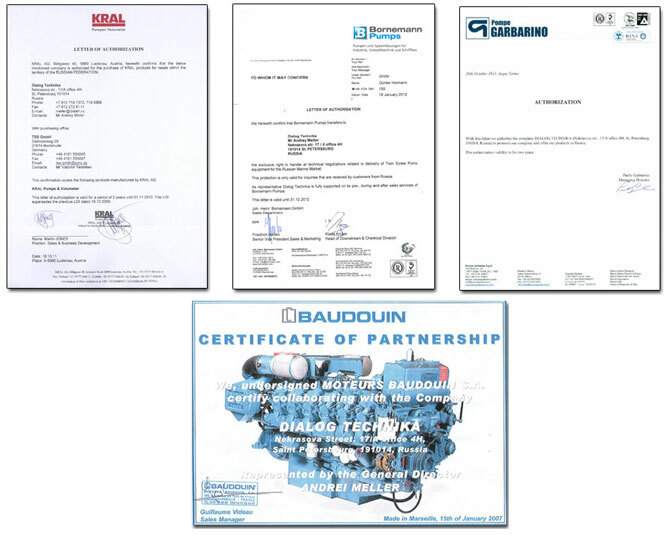 To promote «Moteurs Baudouin SA» marine engines in the Russian market, we, together with our partners in Russia - the company "Dialog-Technika", organized getting of a full set of 5 Certificates of type approval of equipment from the Russian Maritime Register of Shipping (see Fig. below). 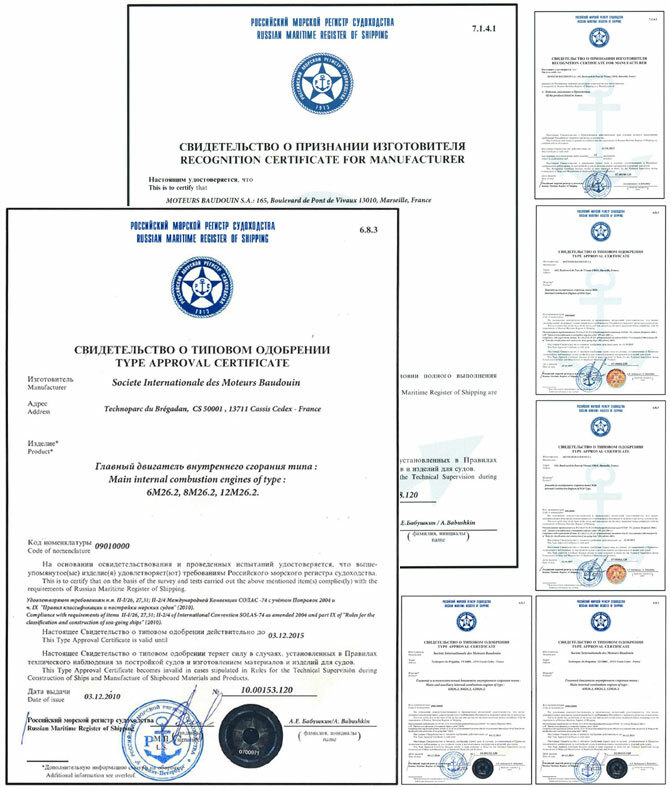 More details about these certificates can be found here and here.